What would it take for the biggest political party in Western Europe to be accorded a bit of respect? Will the mass media reports from the Labour Party conference be the same when the membership tops 750,000? Or a million? What does the Labour Party have to do to get taken itself taken seriously? And what has happened to our political discourse that when democracy is exercised it is traduced as a kind of dictatorship? In an otherwise thoughtful column by The Observer’s Andrew Rawnsley describes the outcome of Labour’s second leadership election campaign, and Jeremy Corbyn’s increased share of and increased vote as a coronation. It wasn’t a coronation, it was an election. He was not crowned, he was elected. No sooner had he won overwhelmingly, than a queue of discontented MPs were lined up to protest. This is an example of what the political and cultural scholar, Prof Jeremy Gilbert describes as the ‘anti-democratic discourse’ of what passes for political commentary. Will they still be rehearsing these lines if and when Labour Party membership – excited by the prospect of a social democratic political project for the first time in three decades – hits 1 million? Will they rebuke the party members if and when they mobilise actual, active resistance to the Tories’ neo-liberal strategy? Why? Because they can’t stop themselves: they are fighting for their political lives. Not because they are menaced by a de-selecting mob, but because most of the Parliamentary Labour Party has been shaped by New Labour and it our doesn’t know what else to do. It has been chosen and trained by New Labour; it has been disciplined by New Labour, and by its biblical belief that there is no alternative, that Labour’s adoption of the neo-liberal global settlement is not only Peter Mandelson’s failed Third Way, it is the Only Way. The surprising dullness of candidates challenging Corbyn during the first leadership election campaign, and their performance since then, is indicative — it is a kind of mute inability to connect with the impact of 2008 and the neo-liberal implosion; it renders them the living dead. The decline and fall of political journalism, its cloistered internment on Westminster Green, its symbiotic dependence upon the tenants of the raggy palace across the road, produces gossip as a proxy for analysis. It worked well with a party leadership that controlled the commentariat much as it controlled the party. But it doesn’t work when the membership itself is taking everyone — including itself — by surprise. I once described New Labour as a kind of anti-party party — an organisation run by people who didn’t like its members, a project that preferred an audience to a membership. That era has been extinguished by the rush to join up and join in. Hence Corbyn’s critics’ strange obsession with the new mass membership as a ‘movement’ rather than a ‘party’. Prof Jeremy Gilbert has written an adroit critique of this polarisation. Movement and party are not irreconcilable — exemplified by the Green Party which is both a movement and a party. The rise of radical anti-austerity movements across Europe and Scandinavia, Podemos, Syriza and the pirate parties, are simultaneously movements and parties. You can have effective movements that aren’t political parties — feminism is the exemplar: movements, ideas, campaigns that don’t have an address, a political energy and imagination that is not tethered to a place or time. Civil rights movements in the US, Northern Ireland and South Africa operated within and beyond the boundaries of parties. But as Labour needs to know by now: you can’t have successful mass parties that aren’t also movements. This entry was posted in Comment, Current Affairs, Debate and tagged Jeremy Corbyn, Labour Party on October 2, 2016 by Beatrix Campbell. 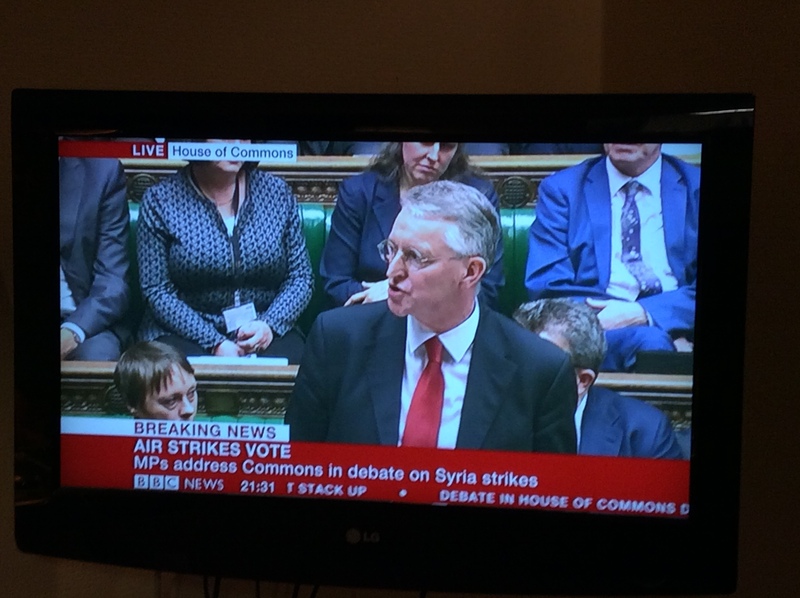 The Parliamentary debate on bombing IS/Daesh in Syria was brought to an intense and rousing conclusion by Hilary Benn, Shadow Foreign Secretary. It was Benn rather than Tory Foreign Secretary Phillip Hammond who inspired the House of Commons — MPs endured Hammond and applauded Hilary Benn. The commentariat relished the difference between Hilary Benn and the Labour leader Jeremy Corbyn, but also inevitably, perhaps, with his father Tony Benn. It was as if they had not noticed Hilary Benn’s eloquent defence of his leader — as a politician and as a person — and his unrequited invitation to David Cameron to apologise for his ‘terrorist sympathiser’ slur. And it as if they had not noticed that throughout Hilary Benn’s parliamentary life he has not been an echo of his father — that the Benn family has survived generational and individual differences with better manners than most. 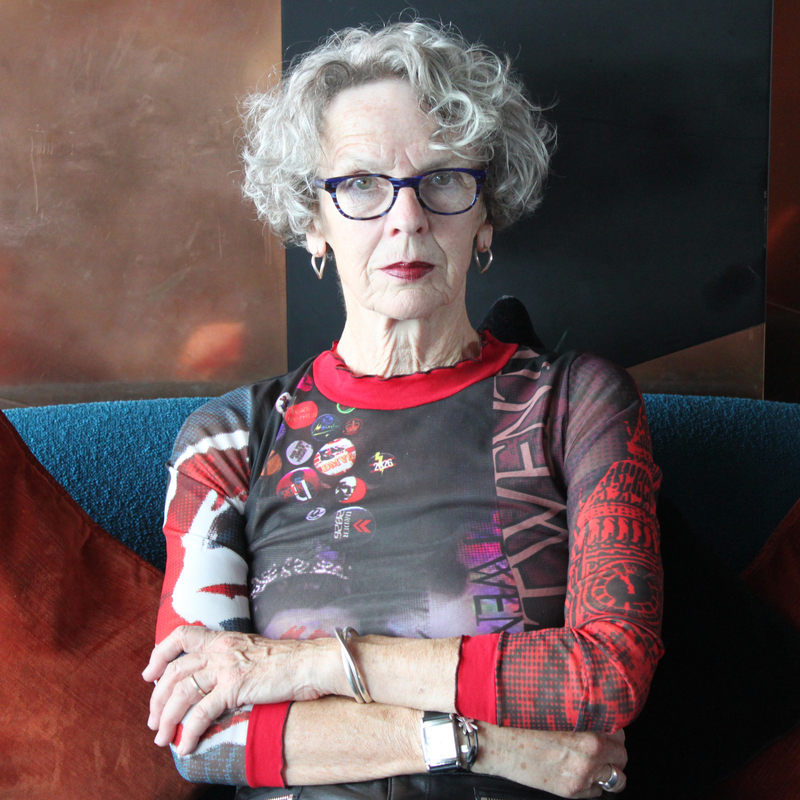 Melissa Benn — the only girl among Tony and Caroline Benn’s children, an astute writer and activist — reminds us that ‘the Benns have something of a history of courteous exchange but also of opinions strongly held to and expressed. Often not exciting enough for rapacious press, looking for gossip, intrigue and networking and power plays. She’s right: schism and ‘irreconcilable differences’ attract attention, whilst respectful, intelligent and peaceful co-existence doesn’t. Hilary Benn is not his father. This is not a dynastic drama; it isn’t a sectarian schism either. Hilary Benn has always disagreed with Tony Benn and with Jeremy Corbyn about Britain’s wars. That makes Benn’s appointment as Foreign Secretary by Corbyn a daring move; just as his appointment of Maria Eagle as shadow Defence Secretary is also interesting. They don’t agree on the war in Syria. They don’t agree on the renewal of Trident nuclear missiles. So, they’re going to have to work it out. The surprise is that they’re going to try. And they’re going to try in the knowledge that these issues are difficult because they are difficult, we should expect disagreement because they are among the most testing themes of our times. Listening to the Syria debate and Benn, brought to mind not his father but Parliament itself and a sense that Benn was emancipated by the context — Parliamentary democracy at work. I didn’t agree with him about the bombing. But Shadow Chancellor John McDonnell, who has brought a genial tone to the Corbyn team, lost his touch a bit when he said Benn’s speech was like Tony Blair in 2003 when he argued for war in Iraq. Benn wasn’t so much charismatic as effective: the performance was adroit, supple and smart. He didn’t overwhelm the honourable members with evangelism, he didn’t deceive or bully. He invited them to think, and to be available for persuasion. That’s what made his speech bracing. Unlike, for example, David Cameron who de-humanised the enemy, Benn discussed some particulars — acts of violence animated by a special kind of manly excitement; an enemy that electrified by violence that is also thought-about and strategic: aimed not only at destruction but the theatre of terror. That’s what made his allusion to fascism so interesting. Who knows if he’s right, but the word takes us to other modern — not medieval — ideologies of supremacist violence: the Nazis, Mussolini’s nationalism, racist lynching in the United States. If he soared on this occasion it was because the occasion — the place, the time, the people — demanded it: here was Parliamentary debate at its best, and here was Hilary Benn doing his best. Weirdly, the commentariat responded not by thinking, but by boxing the speech into its own discourses about power and politics. They’re missing the point: this isn’t about splits (whatever the ‘traitor’ twitters outside Parliament get up to). Isn’t disagreement and debate what happens in political parties, in relationships, in families? Westminster’s political culture isn’t used to this — witness the utter bewilderment about Scotland’s great independence conversation: households, friends, lovers dissented from each other — but they didn’t get divorced or die. They kept talking. This is good politics, and Westminster and the commentariat should get used to it. What we witnessed during the Syria debate was a party that was functioning; recovering from near death, from being eviscerated, hollowed out; from being ruled by diktat, by people whose anti-party politicking left Labourism too terrified to do what it is supposed to do: think, look right, look left, look right again and then go. 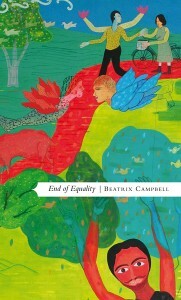 This entry was posted in Comment, Current Affairs, Debate, News and tagged David Cameron, fascist, Hilary Benn, Jeremy Corbyn, John McDonnell, racism, supremacist, Syria, Tony Benn on December 3, 2015 by Beatrix Campbell.